Though the iPhone 7 and 7 Plus aren't coming out until the fall of 2016, rumors and alleged part leaks have already divulged many details about the prospective features of the device. 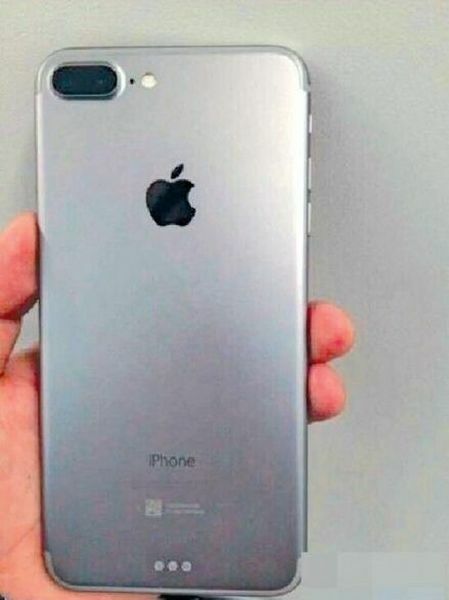 In March, a photo of a device said to be the iPhone 7 Plus surfaced on a Chinese website, and a rendering supposedly sourced from Apple manufacturer Catcher Technology featured the design of the iPhone 7. There's no way to confirm whether these images are legitimate depictions of Apple's upcoming devices, but this morning, Japanese site Mac Otakara shared a report that corroborates many of the rumors we've heard and shares some new details on the features we might see in the iPhone 7 and the iPhone 7 Plus. Mac Otakara says "the possibility is great" that both the image of the iPhone 7 Plus housing and the design sourced from Catcher are "the real thing." The iPhone 7 Plus model featured a dual camera as has been rumored, along with a Smart Connector that Mac Otakara suggests could be used to accommodate a Smart Keyboard for the iPhone. Much of the rest of Mac Otakara's report focuses on speculation about the iPhone 7 and 7 Plus based on the supposition that the photos are actual depictions of the two devices, along with a few new tidbits of information thrown in. Both the iPhone 7 Plus model and the rendering from Catcher show a design that's similar to the design of the iPhone 6s and the 6s Plus, and while previous rumors (including a rumor from Mac Otakara itself) have said the device could be thinner, even approaching the thinness of the 6.1mm iPod touch, Mac Otakara says the device photos suggest there will be little difference in size between the iPhone 7 and the iPhone 6s. Apple is expected to eliminate the headphone jack in the iPhone 7 and the iPhone 7 Plus, and while some rumors have indicated Apple could use the space to introduce dual stereo speakers, Mac Otakara now believes Apple will continue to use a single speaker in the device. The report also includes a mention of Bluetooth-enabled EarPods that connect to the iPhone to charge much like the Apple Pencil. The larger lens of the rear-facing camera on the iPhone 7 image indicates it will perhaps use a larger sensor, giving it improved camera capabilities despite the fact that it will not include the dual camera layout rumored for the iPhone 7 Plus. Multiple rumors have said dual cameras will be a feature limited to the iPhone 7 Plus. A final detail in Mac Otakara's report focuses on the potential inclusion of two new sensors at the top of the device, the purpose of which remains unclear. There is a possibility that the two sensors could be related to the display of the device, based on recent speculation from DisplayMate suggesting features included in the 9.7-inch iPad Pro could be a logical inclusion for the iPhone 7. According to DisplayMate, True Tone display support, which adjusts the display to match the temperature of the ambient lighting in a room, could be added to the iPhone if Apple "upgrades the ambient light sensors so they measure color in addition to brightness." Many of the details Mac Otakara mentions in its report line up with previous rumors that we've heard. Both the iPhone 7 and the 7 Plus are expected to look a lot like the iPhone 6s, but with redesigned antenna bands that don't span the back of the device. Rumors disagree about the potential thickness of the device, but there could be some improvements made by introducing a thinner display, new chip packing technology, and a slimmed-down Lightning port. Dual cameras for the iPhone 7 Plus and the elimination of the headphone jack are the most concrete rumors we've heard yet, corroborated multiple times by a variety of sources. As we creep closer to the fall launch date of the iPhone 7 and 7 Plus, we should begin to get a clearer picture of exactly what features and design changes we can expect to see in the two devices. No headphone jack? Then we are done with iPhones. Several people (none of them technical) have said they will move to Android if apple does this. They spent too much money on good headphones to compromise with Bluetooth headphones. 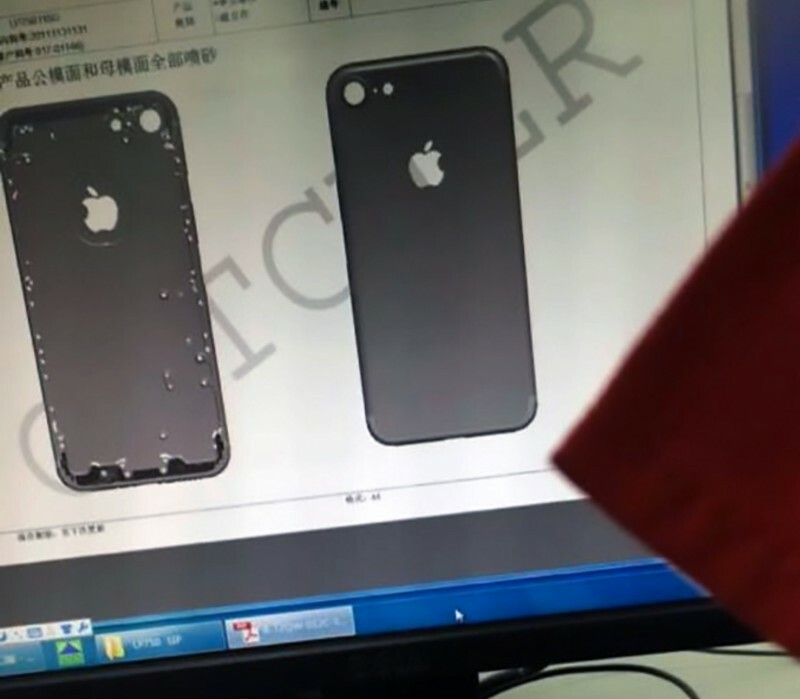 I surely hope the iPhone 7 doesn't look anything like in the image. Looks absolutely terrible to me ... here's to hoping the image is fake! I also agree that the smart connectors likely won't be for a keyboard. The design looks tired and outdated. This design is incredibly ugly, lets hope its not real. Any speculation on what can be used for? Obviously it's not for a keyboard. I don't believe it will be used for a Smart Keyboard. That doesn't make a lot of sense. Battery cases or some kind of wireless charging system could be possibilities. Man, I've never been one to rush to put a case on any previous iPhone I've owned, but I'll definitely be ordering one day 1 for this hideous monstrosity. I actually think I prefer the antenna line breaks of the 6 to this. Still don't understand the need to remove the headphone jack. Touch still has one at 6.1mm, that's plenty thin. It's one thing to remove things that are past their time or whatever, like the floppy drive... But there are literally *billions* of devices with 3.5 jacks. It just strikes me as more means to bilk customers. That's why Apple is deliberately leaking stuff themselves nowadays.